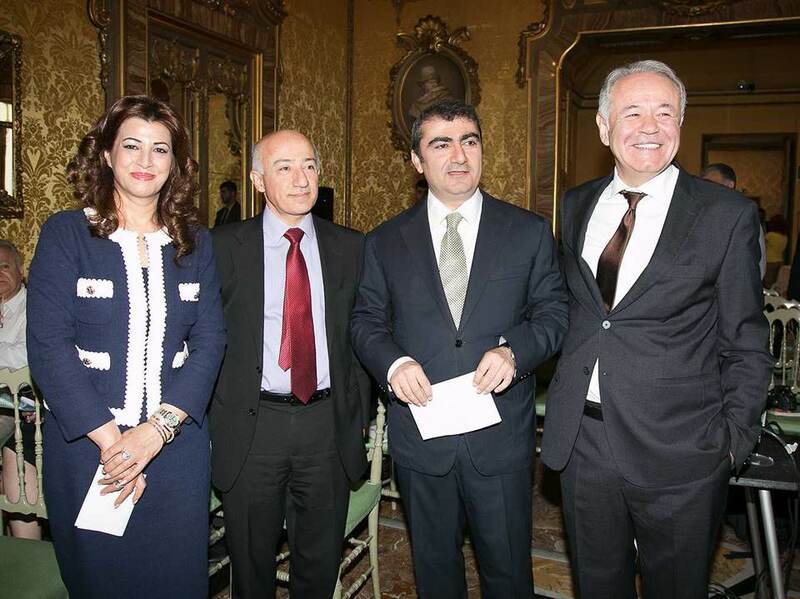 Today Mrs. Rezan Kader participated in the conference "Turkey, Kurds and a New Region" organized by the Al Sharq Forum in collaboration with the Institute of International Affairs at Rondanini Palace in Rome. The Conference, which was introduced by the President of the 'Al Sharq Forum, Dr. Wadah Khanfar, former director general of Al Jazeera Media Network, and by the Deputy Director of the Institute of International Affairs, Dr. Nathalie Tocci, saw the intervention of numerous political analysts and journalists of international reputation, such as Dr. Ali Bayramoglu, columnist for the Turkish newspaper Yeni Safak and Dr. Dlawer Ala'Aldeen, President of MERI, the Middle East Research Institute, former minister for higher education of Kurdistan Regional Government . The Kurdish peace process in Turkey, relations between the Kurds and the government of Ankara, and between Turkey and the Kurdistan Regional Government, especially in the fight against terrorists of ISIS, and about the future prospects of the Kurdistan Region, the European Union's role in this peace process, the Kurdish question in Iran and Syria are some of the topics covered in the three sessions of the discussion. The Conference was attended by several members of the Italian and foreign diplomatic community, such as the Ambassador of Turkey in Italy, the Ambassador of Iraq in Italy, Ambassador Laura Mirachian and several journalists from the national and international press, such as “Il Sole 24 Ore”, and CNN.